For hundreds of years, people have compared their fellow human beings to man’s best friend. We just adopted a terrific Miniature Australian Labradoodle named “Harken” from the Labradoodle Corral in Hartford, Wisconsin. http://www.thelabradoodlecorral.com As the Corral’s owner, Jeff Nienhaus, helped me train Harken, it dawned on me how much dog training and managing people have in common. An alpha does not talk soft or offer choices. An alpha makes swift corrections – then it’s over. No grudges. People, like dogs, need a leader and want to be led. Great leaders are great communicators. Easily understood. Happy to offer praise. Willing to offer criticism when necessary. Then, willing to move on. No resentment and definitely no growling! 2. People don’t like being treated like dogs. Guess what? Dogs don’t like being treated like people. Dogs don’t understand it. It’s not their world. So, respect their world. Teach in their world. Meet people on their terms. Many BizTimes readers might be considered “the 1-percenters” (whatever that actually means these days). But they likely spend most of their time with people who represent the other 99 percent. It’s important for the 100 percent to learn and respect the worlds and lives of others. Make sure you and your leaders walk the floor, both literally and figuratively. It used to be that a person needed to hear the same message at least seven times to retain it. Today’s studies show people may need to hear the same message 12 to 20 times. Unfortunately, politicians know this all too well since we’re bombarded with the same political ads for months ahead of any election. Yes, it’s often frustrating or even boring to repeat the same message over and over again. Yes, it sometimes feels like no one gets it. But it really is almost impossible to overcommunicate. Dogs know this and thrive on communication. In our strategic planning process, we teach the importance of “cascading communications”, an idea advanced by author Patrick Lencioni. It’s critical that the leadership team speak with one voice, and repeat the important messages of the organization. 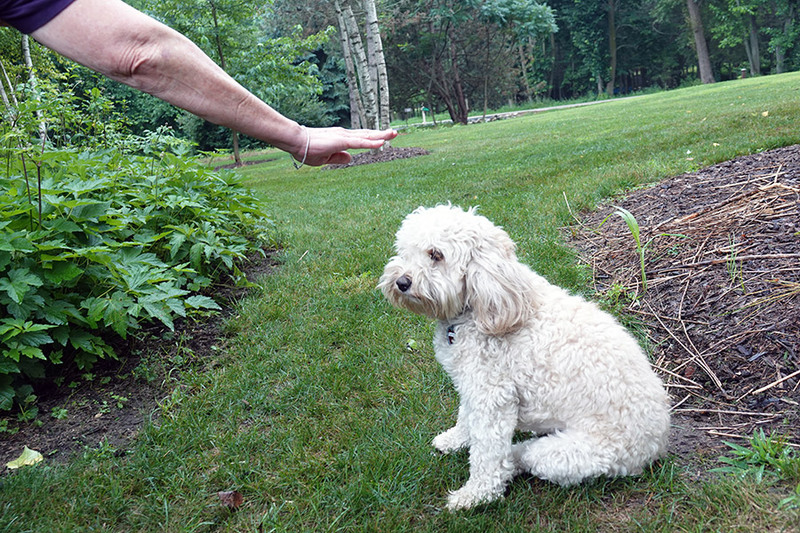 Our canine companions watch for the same cues over and over again to tell them what they are doing is good, not bad. They like consistency. 4. Break training into small segments, and then put the segments back together. Only reward them when they do it right. No participation trophies. It confuses them and tells them mediocre or wrong is good enough. When we facilitate strategic planning, we take the BHAG (“Big Harry Audacious Goal”), the three-year initiatives and the one-year objectives and break them down into 90-day priorities. It’s amazing how much more we get done. And when you have an organization with a culture of accountability, people know they will be rewarded only by being accountable. And rewards don’t always have to be tangible. Often a “good job” accolade is enough for a particular moment of fine accountability. 5. Love unconditionally as they do. Sleep with them. Let them be your shadow and give them a job. It makes them feel important, gives them purpose, and makes them want to continue to do good work. Well, sleeping with your team will definitely create an HR issue! But I do truly believe in loving my co-workers, mentoring them and learning with them. We all want to work toward a higher purpose — just like our dog friends. Of course, leading teams isn’t dog training. But it’s not likely we’ll ever be in a workplace without the need to lead and train accountable teams. Learning about the dog/people connection from Jeff Nienhaus does make me ponder whether I should hire a dog trainer as my next director of human resources. Good boy! © | Website Managed by Zealth Digital Marketing.